The last couple of months have seen Canuck imprint Distort beef up the homegrown portion of its roster, with recent acquisitions including Halifax's A Sight for Sewn Eyes and Montreal/Ottawa unit Obey the Brave. The latest inductees to the Distort family, meanwhile, are Kitchener, ON's Exalt. A press release confirms the signing, but doesn't say when we can expect the band's first proper release for the label. Earlier this year, the band issued their debut full-length Breach False Minds via Feast or Famine. 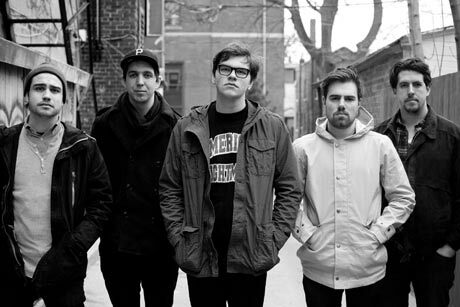 The release followed a 2010 split with Hamilton's Counterparts. Exalt will take their recent tunes out on tour this August on a two-week trip that will have them start off in Calgary and make their way eastward to the Southern Ontario Metal Fest on August 26. Joining the band on all dates are Edmonton's Slumlord and Iowa outfit A Past Unknown. You can catch the detailed itinerary down below.